Opening: Saturday 25 February 4pm. Meet the artist on site 1pm daily. What will the floodplain look like when our young people are old? 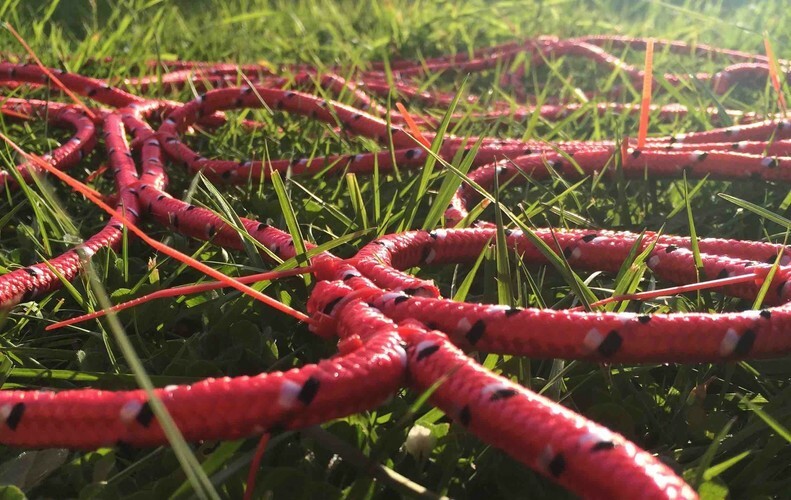 Working with schools and scientists to visualise future and historical changes, a giant 1:1 flood map is being made collaboratively with rope, on the grassy flood banks. The end result is giant collaborative artwork: effectively a 1:1 interpretive scale map of past and future projections. Directions by train: Ava Station, 15 min walk Wakefield Street and across Ava bridge. By car: St Alban’s Grove, off Woburn Road. By foot: 10 min from Dowse Art Museum via Myrtle Street.